The new HM System uses software defined modems as well as advanced waveforms and coding to yield solutions to problems that are common to Military and Commercial users. These include airborne Beyond-Line-Of-Sight (BLOS) communications for ISR (Intelligence, Surveillance, Reconnaissance) applications on fixed and rotary wing platforms, Very Small Portable Terminals (VSAT) and systems that require features such as low probability of detection (LPI/LPD). The new Hughes HM300 portable terminal, packaged in conjunction with Tampa Microwave, utilizes advanced waveform and antenna technology to produce the world’s smallest X-band portable terminal. This terminal s now being used in a service offering by Airbus Defence and Space for operation on that company’s protected Skynet satellite constellation. This is the optimum and most cost effective solution for applications such as streaming video, which require long periods of daily connectivity. The same modem technology has been packaged by Hughes for use in airborne, shipboard and ground based COTM (Communications-On-The-Move) applications as the HM200, which features a ruggedized enclosure that meets DO-160 (Environmental Conditions and Test Procedures for Airborne Equipment) and MIL-810 specifications (eight environmental tests to determine hardware ruggedness). A unique coding appliqué can be added to the modem to assure operation through rotary wing blades without the use of outdated techniques, such as blade timing or blade burn-through (higher BUC/PA power). As with all Hughes SATCOM products, the modem is antenna and network agnostic with configurations available for operation in the L-, Ku- or Ka-band. 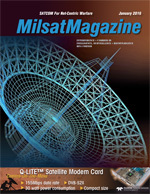 The HM100 hub modem completes the network and offers advanced waveforms and network management techniques that enable bandwidth efficient operations using the terminals noted above over all new Ku- and Ka-band High Throughput Satellites (HTS), as well as WGS (Wideband Global SATCOM) and existing L-band mobile satellite systems. Hughes also continues to invest in R&D to create very high-speed modems and the porting of protected communications waveforms to these software definable products. The company is partnering with industry leaders to add crypto devices that result in true open systems solutions for the upcoming needs of the military in this important area. Finally, Hughes continues to support the Australian DND with the most advanced MF-TDMA systems available today and provided the SATCOM links to coalition forces in the recent Talisman Sabre exercises. Looking ahead to 2016, Hughes will continue to enhance the HM series product line for specialized applications and will be introducing the new JUPITER™ HTS modems to the DoD for enterprise applications. Rick Lober is the Vice President and General Manager of the Defense and Intelligence Systems Division (DISD) at Hughes Network Systems, LLC, and is also a Senior Contributor for MilsatMagazine. In this role, he is responsible for applying the company’s broad range of SATCOM technologies and services to the worldwide defense marketplace and intelligence community. 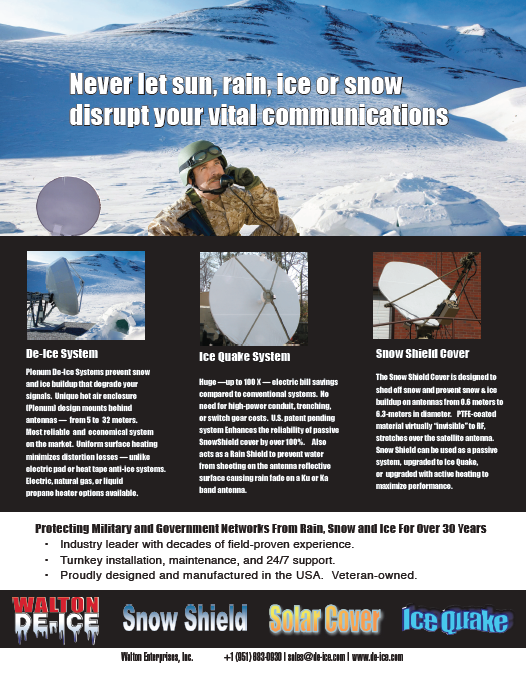 This includes both fixed Ku, Ka and X band VSAT and mobilesat products and systems. Applications cover satellite communications on the move for both ground based an airborne platforms along with numerous classified development programs. He has over 25 years experience with both COTS-based and full MIL communications and intelligence products, systems and major programs starting as a design engineer and progressing to a P&L executive. Mr Lober previously worked at Cubic Corporation as Sr. VP/GM of the Communications Business Unit. In this role he led the company’s development of the Tactical Common Data Link (TCDL) for application to both manned and unmanned military ISR platforms. In addition, Mr. Lober’s business unit managed the data link system for the USAF/US Army’s Joint STARS program, the Personnel Location System used in Special Operations search and rescue missions, high power HF amplifiers for military communications systems and a line of receivers and direction finders for signal intelligence applications. Mr. Lober received his BSEE and MSEE degrees from the University of Illinois, Urbana, and is a member of the IEEE, AFCEA, AUSA, AUVSI and the Society of Satellite Professionals. He has published numerous papers and presentations on digital receiver design, high speed data links and satellite communications.